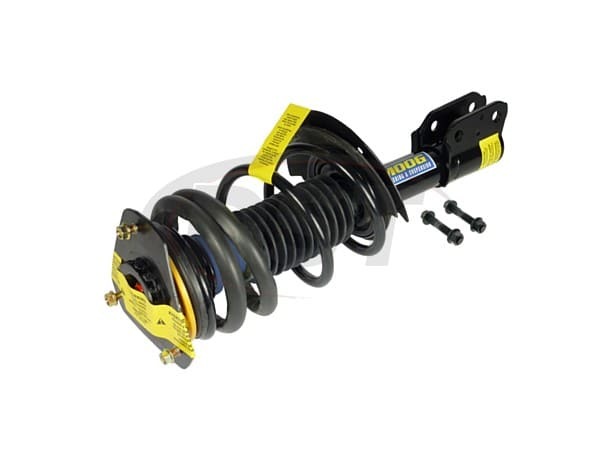 Includes strut, coil spring, top mount, an lower mounting hardware. Fits left or right side. Does not fit 2010 Buick Allure with Performance Package. Does not fit 2005-2009 Buick LaCrosse models with the 17 inch or 18 inch wheels. Does not fit 2000-2013 Chevrolet Impala with 15 inch or 16 inch wheels. Does not fit 2000-2013 Chevrolet Impala Police or Taxi models. For 2000-2013 Chevrolet Impala Police or Taxi models use st8558 instead. Fits 2000-2007 Chevrolet Monte Carlo with 15 inch or 16 inch wheels only. Replaced the originals with Moog. Everything and more that was expected. I am very impressed with the MOOG ready set struts. They were easy to install and I have been pleased thus far with them.